As I walked towards the gate of my office after work, I saw this guy also walking towards the same direction with his friend. He’s my friend but his name seemed to vanish from my mind for a temporal moment, so for one whole minute I walked behind their back quietly. I hoped he never spotted me because I was ashamed of my wonky memory. When I finally managed to recall his name, he spotted me walking behind him and his friend. I couldn’t call out his name on time, so I just addressed him as “bro”. Hey Bro! How’s it going? The rest remain history. I believe I am not alone in this. I KNOW! I know. It sounds trivial. Not remembering other people’s names is a small matter and everyone does it, right? To be honest, yes it is. But if you come to think about it from a larger picture, this seemingly trivial matter has the capability to trickle into larger issues, and could be the one mammoth factor in determining one’s success in everything. Many business leaders and politicians knew this golden key and it helps them to manage people. It weaved its magic in the past, and will continue to do so in future. After one week of barely reading a proper book (I read mostly random articles from websites and blogs), I resumed the book “How to Win Friends and Influence People” by Dale Carnegie. Again the insight I’ve gained was proved to be extremely relevant and practically real. Yes I know you are pretty good at guessing, and you guessed it right. It is remembering names. I have to admit, I was (am) not very good at remembering other people’s names. In fact, this is one of my weaknesses I have been trying to work on. Where are the places and events you will get to meet a lot of new people? Networking events, church, conferences and during transitional periods. When you meet new people in church after service and during prayer meeting. 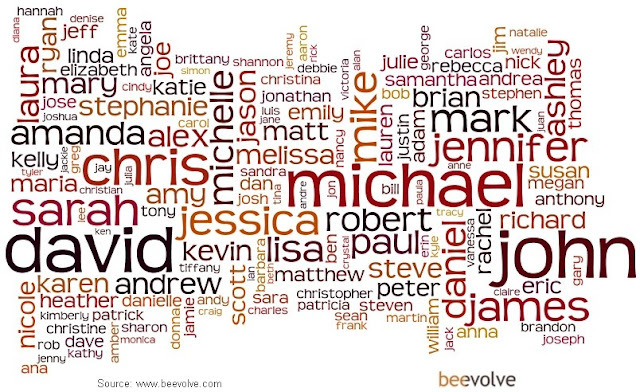 When you just started working, you have hundreds of names to remember but everyone else has only one name to add into their mind. Unfair right?! We will get there. Consider this one CEO working in a company with the same group of employees, but under two very different scenarios. In Scenario A, this CEO can only recall the names of the top 10 names working closest to him. As you might have guessed correctly (again! ), they are other top executives, heads of various functions and the general manager. On top of that, no one else. Then in Scenario B, the same CEO acts very differently. He knows everyone by names, from the cleaners to the cafeteria workers, from junior executives up to the Board of Directors. Who do you think will be able to perform better, leading the company to the right direction and achieve targets within the shortest period of time? You knew the answer again, don’t you? Smarty pant. Now that we know it’s important to remember names and just by doing this can have an immense impact in getting others to put us more favourably against everyone else, what can we do to remember names? It’s not really of our intention to forget their names though! Blame our short term memory and for some people, like me, our brains just work this way! Maybe there are some little tricks to remember? Repeat. Repeat. REPEAT. One thing about our brain is when we say out a name repetitively, we tend to remember it easier and better. You won’t notice it, but your brain knows what it is doing. By repeating something, you are emitting signal to your brain saying this is important, MUST REMEMBER! The magic works this way. If you tell your brain to remember this, it will. Conversely, when you don’t value this person highly enough, you are essentially saying “This is a waste of time! Can I go home now?” and then by the time you ended the conversation with the person, you don’t even remember his/her name. Chances are, he/she will be extremely glad to know you still remember his/her name the next time you guys meet each other. Keywords also work wonders in helping you to remember names. It is critical to link their hobbies, careers and anything else you can think of to the person’s name and voila! You are well on your way to remember him for eternity. I’m joking, you don’t have to remember his name for eternity if you don’t want to. But in case you WANT, remembering keywords is going to help. I tend to categorise people I know into few categories. Previously, based on what they study; now based on their departments/companies or what they do for a living. Because I am feeling good today, here is one personal tip for you – SOCIAL MEDIA! We all know how much social media has transformed the world, making it a more well-connected community. Through Facebook, Twitter or Instagram, you will remember someone’s name almost instantly. I don’t know about you, but it works for me. Let’s practice this new skill today – try to remember as many names as possible. It will help you develop your vivid lifelong impression in other people’s minds.